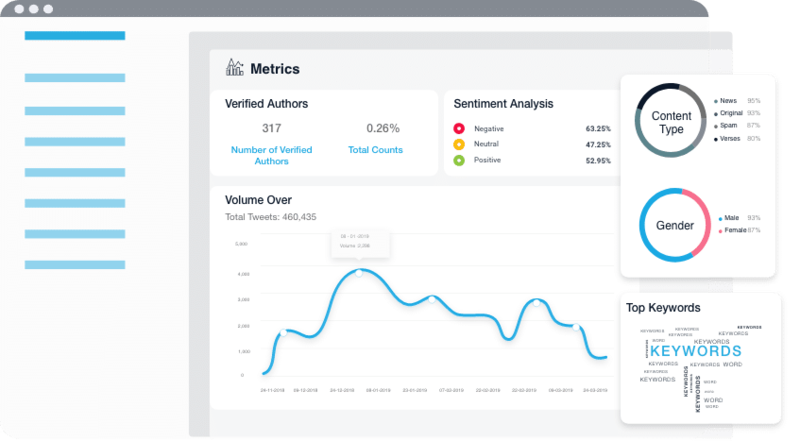 Automated trend detection and cause analysis to be able to know what about to trend, started by whom and who is endorsing it. Know more about conversations & opinions by diving deeper in our data ocean equipped with our content analysis intelligence. 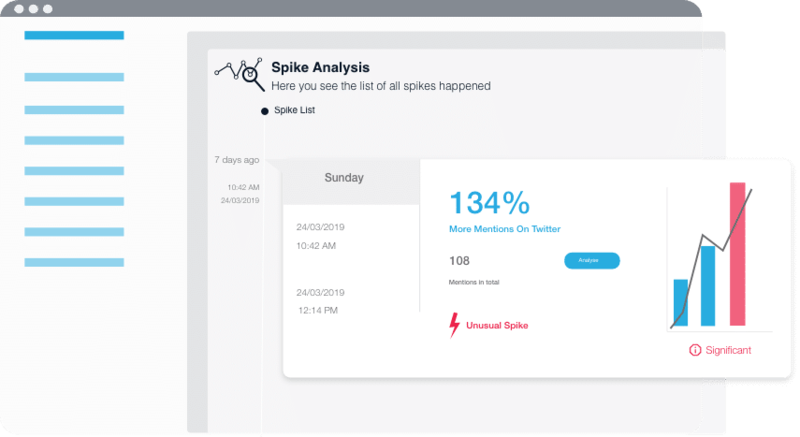 Analyze all the content and authors who speak about you or your competitor. 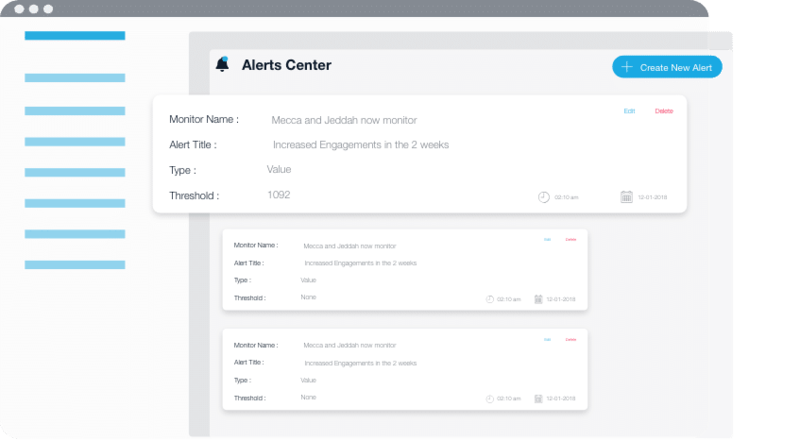 Automated alerts to keep your team ahead of key events affecting your business interests. 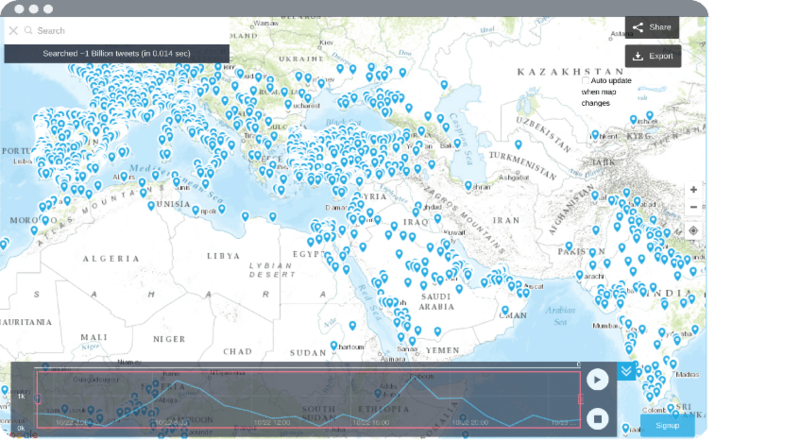 Visualize billions of live-streaming and historical posts on map in realtime to discover patterns and start connecting the dots. Zoom from a global view right down to street level. Fully automated reports delivered to your inbox customized based on the metrics you care about & filters you set. 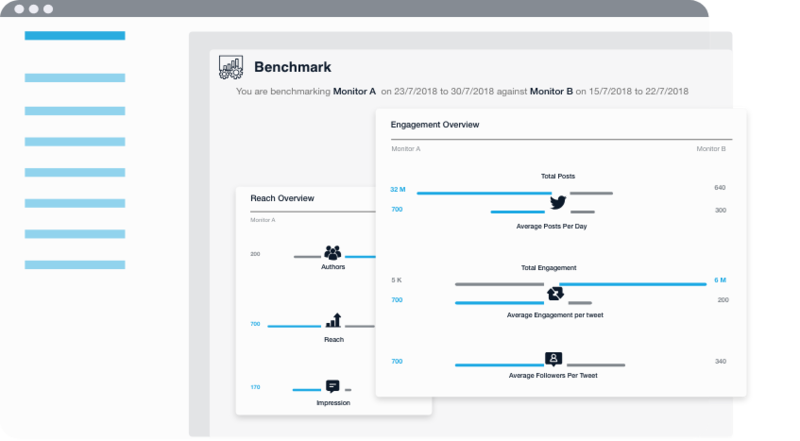 Compare your performance against your competitors never been easier. Choose what metrics you are. 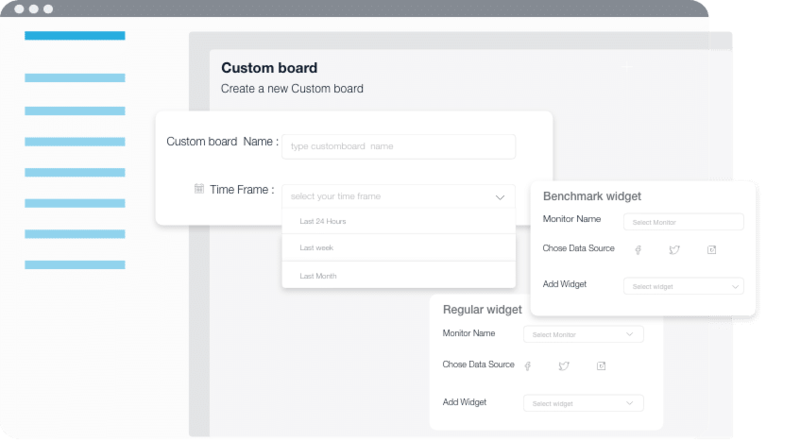 Create your own custom dashboard that shows only the metrics you care about from various number of monitors. Oh, did we say you can setup unlimited number of dashboards ?